Every year around this time, we’re flooded with lookbacks at the prior year and anticipation and hope for the year in front of us. This time of year also brings out the generous side of people. We reach out to share our good fortune with those less so, and hope for better tomorrows. For some people, that spirit of giving isn’t just relegated to this special time of year—instead it’s an essential part of who they are. Those are the people bold enough to believe that they have the ability to make an impact in the lives of others, so they do. At St. Croix, we’re fortunate to know these special kind of people as our Founder and his wife, Bernhard and Colleen Brenner. 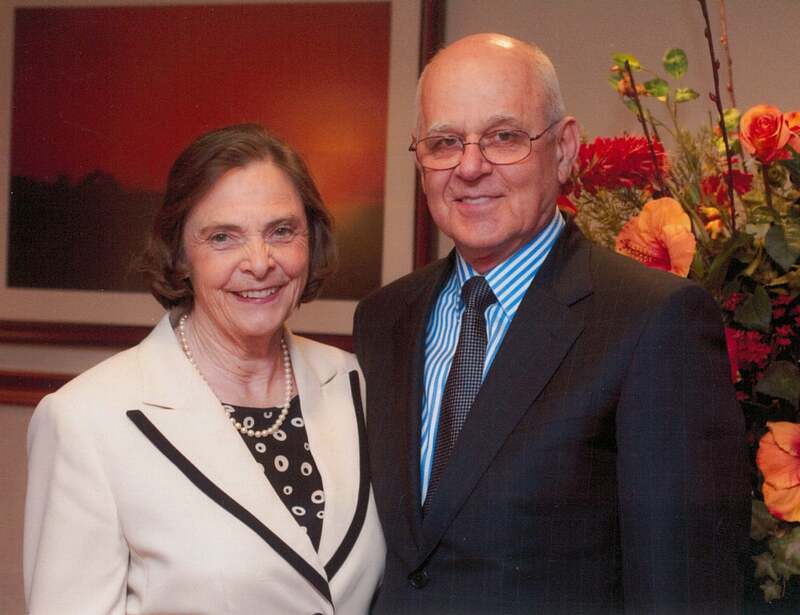 In 1994, Bernhard and Colleen started the Knitcraft-St. Croix Foundation. Its mission was shaped from their life experiences and the fundamental desire to help those who cannot otherwise help themselves. For years, their strong community support and history of giving had been helping people around them, and was made official with the establishment of the foundation. The work of the foundation is done quietly and consistently, from the heart—the way they had been doing it for many years. Each year, the foundation makes a difference by the donation of St. Croix product and/or monetary funds to area agencies that provide disability services, assist children and youth services, offer scholarship and educational assistance, support day counseling and crisis organization, and advocate a variety of worthwhile community causes for those with mental and physical handicaps. The semi-annual Charity Menswear Sale Event is held with family and friends to raise money for the Knitcraft-St. Croix Foundation. These events, along with memberships, are used to fulfill the mission of the foundation—to touch the lives and make a difference for those who cannot help themselves. This desire for helping others was born out of first hand experiences. What touched the life of Bernhard Brenner as a small boy growing up during WWII in Germany was the seed that made him who he is today. At a very young age, Bernhard Brenner watched his community members hide and care for a neighbor’s disabled child during the war. He found that life is sometimes unfair and frightening for those with disabilities, and quickly learned that some individuals in our world need protecting. After this experience, he made a lifelong commitment to do just that. After coming to the United States, Bernhard found a chance to put his commitment to work. In the early 1960’s, institutions in Minnesota began closing, causing communities to find ways to help and care for individuals with mental and physical disabilities. Mr. Brenner became involved in helping establish work programs within the community that would provide skills and care to those who most needed it. As his own company grew, he was able to employ many individuals who found they could learn and maintain a skill level that would provide them with an income—which added self-worth and self-esteem while promoting their independence. Mr. Brenner also learned at a very early age what freedom is all about. As a young boy, his hometown was liberated by the American soldiers and he personally felt the liberation from communism. As Bernhard moved to the United States and became a citizen, he also became eligible to serve his new country—doing so for two years with tremendous pride and respect. This shaped another key aspect of philanthropy: the need to take care of our Veterans. Mr. Brenner has a high regard for military personnel and loves welcoming returning armed service members home. Being a US Veteran himself, he has a deep connection to the sacrifices and dedication of these men, women and their families. We’re proud to be part of an organization that cares so deeply for their community, and continues to offer support where it’s needed. As we close the books on 2016 and look ahead to the new year, we celebrate the spirit of giving and generosity and encourage you to reach out within your own community however you can.